Home » Blog » On The Road Again » Mt. Airy Middle School. Maryland. Mt. 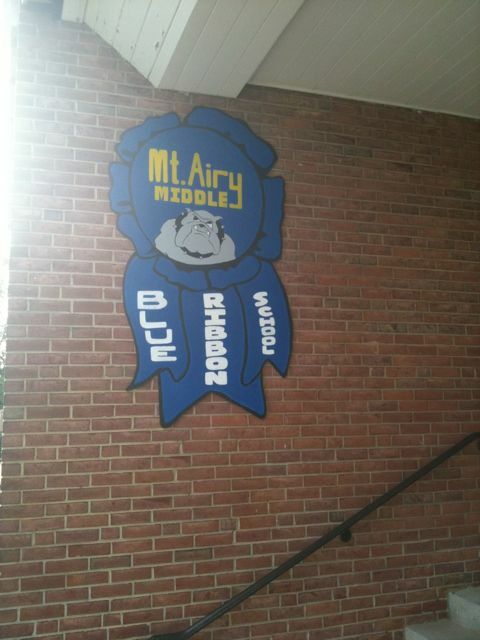 Airy Middle School. Maryland. I was at Mt. Airy Middle School today with my old friend, librarian Pam Lichty. I think this is my third visit to her school. I spoke to 6th, 7th, and 8th graders using Keynote on my iPad, which worked absolutely perfectly. Another fun school visit! Thanks Pam! After school Pam drove me to BWI to catch a flight the Grand Rapids where I’m speaking tomorrow. ← NHSLMA. Nashua, New Hampshire.